By Ananth Padmanabhan, Madhav Khosla – This attempt to present a fait accompli of sorts when the constitutional challenge to Aadhaar comes up for hearing is not a new development. Yet, the Court’s privacy verdict has put both linking and enrollment efforts on overdrive. Even private actors have stepped on the accelerator, and not a day goes by without mails and messages from banks and telecom companies asking customers to link their Aadhaar number with their bank accounts and mobile numbers, respectively. But amidst all this bustle, what are Aadhaar’s realistic chances of survival post-Puttaswamy? The fear of a digital panopticon is real for the simple reason that desirous individuals need not necessarily approach the UIDAI (Unique Identification Authority of India) to form a complete picture of the various services availed by a citizen. The authentication records also exist in the multiple government offices, ration shops, and other service centers from where welfare benefits are disbursed to citizens. In fact, the data leakages ailing Aadhaar have all occurred thus far from similar end-points where personnel in charge of our data have little training and even lesser interest in keeping such authentication records confidential. The data leakages, in fact, are telling not only because they challenge the mantra that the program is technologically safe, and not only because they simply represent a state program that contains flaws and operates below expectations in practice, but because the nature and upshot of the leakages calls into question the safeguards on which the legitimacy of the program rests. Furthermore, the UIDAI’s role poses serious institutional and rule of law concerns. On one hand, it is the custodian of the Central Identities Data Repository. On the other hand, it is also the data regulator. 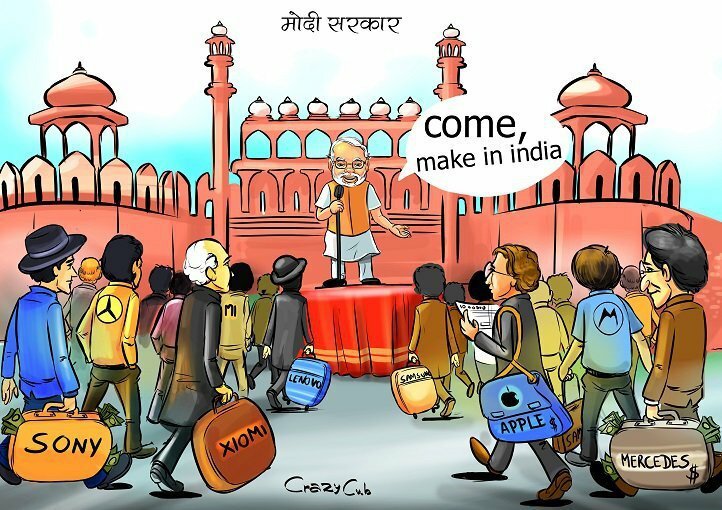 By Abheek Barman – Flashback to September 2014, when PM Narendra Modi unveiled a scheme called, ‘Make in India’ (MII), with a gear-and-cogs lion logo. Three years later MII has, literally, gone off the rails. By October next year, work was supposed to start on the largest MII project: a $2.5 billion venture by America’s GE to make diesel-electric locomotives in Marhaura, in Chhapra, Bihar. But two weeks ago, New Delhi switched off the Bihar project, saying electric trains were the future. Chief minister Nitish Kumar, who gambled his political future by breaking with a Congress-Lalu Yadav coalition to ally with BJP recently, isn’t amused. He says it’ll take ages to electrify India’s 1,10,000 km of tracks. As a two-time rail mantri and Bihari, Nitish should know. 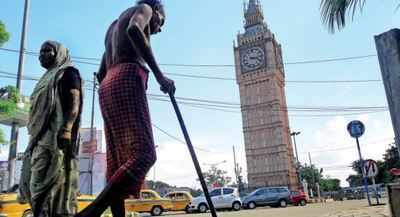 Against government claims that 96% of Bihar villages are electrified, a 2015 survey found only 8% of households get electricity for 20 hours a day. A staggering 80% of homes don’t use electricity for lighting, but get by with kerosene lamps. An incensed GE wants India to pay it Rs 1,300 crore ($200m) in compensation. Such irony: our loss-making, cash-poor railways will now pay to cancel MII investments. What is New Delhi smoking? New Delhi thinks electric trains will save India the cost of diesel. Is electricity made out of thin air? A study in the mid-2000s argued that it makes no sense to run heavy freight trains, moving under 100km per hour, with electricity. By Sunanda K Datta-Ray – Access to contemporary Western thought and literature was part of the liberalizing process for a culture that had for centuries looked inwards, gloating over memories of past achievements that became more mythic as time went on. It was no longer animated by any awareness of other cultures or any sense of competition with them. For all its exploitative faults, colonialism had a wonderfully liberating effect on the stagnant mind of India. Paradoxically, the twin forces of British promotion and resistance to British rule helped to shape the same sense of national identity. Aravind Akroyd Ghose — later revered as Sri Aurobindo — demonstrated that the most Anglicized Indians were often the most patriotic. Other British gifts are subject to deterioration. Judges are dilatory, the civil service is corrupt. The railways and post office have succumbed to neglect. Misfortunes of many kinds can and do befall other legacies. India’s acquired sense of nationhood not only sustains a vigorous independence but, ironically, it also inspires Hindutva champions to look back at the frontiers of the Raj and yearn for an “Akhand Bharat” that existed only under British rule. The greater irony is that the sense of nationhood Britain generated eventually defeated the British.